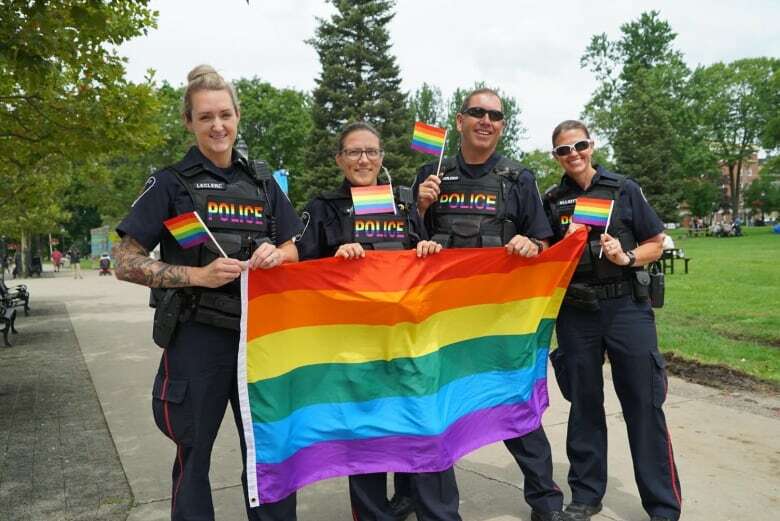 London police officers who want to march in this year’s edition of the London Pride Parade will have to do so sans uniforms and police vehicles. Police officers who want to march in the 2018 edition of the London Pride Parade will have to do so sans uniforms and police vehicles. Organizers for the 24th annual LGBT2Q+ celebration asked police to forego their professional attire in an effort to make the parade more inclusive and remove additional barriers for participants. 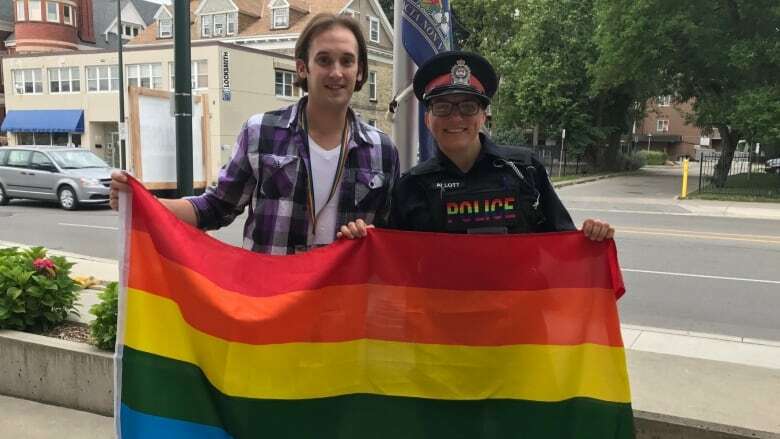 "After several conversations and a community input session earlier this year, our members expressed concerns about the large presence of police in uniform participation in the annual London Pride Parade," said Pride London Festival president Andrew Rosser in a news release. London Police Chief John Pare expects his officers will still want to participate but admitted he was disappointed by the request. "We've had a good relationship with Pride London and the LGBT2Q+ community and with every relationship, you're working to develop it and move forward," he told CBC News. "I can admit that I am a bit disappointed that we won't be allowed to wear our uniforms, but I also look at what Pride stands for and it's about inclusivity and including everyone." Pare said he hopes to see a shift in perception in the coming years, so officers can attend in uniform again. "[Officers in uniform] are seen as a barrier for some people and I think that that's part of developing relationships and continuing to develop that openness that our uniforms are accepted, as well as the person," he said. The move by Pride London Festival organizers comes after police in Toronto were asked to withdraw their application to march in the Toronto Pride parade. The Toronto Police Service abandoned its bid to march after Pride Toronto, along with five other organizations, co-signed a letter calling for them to abandon their effort. The letter expressed the strained relationship between the LGBT community and the police force. While police are still invited to participate in the London Pride Parade, they're asked not to wear their uniforms or drive police vehicles. The parade will conclude 10 days of Pride London Festival events starting on July 19, 2018.